This Weekend! 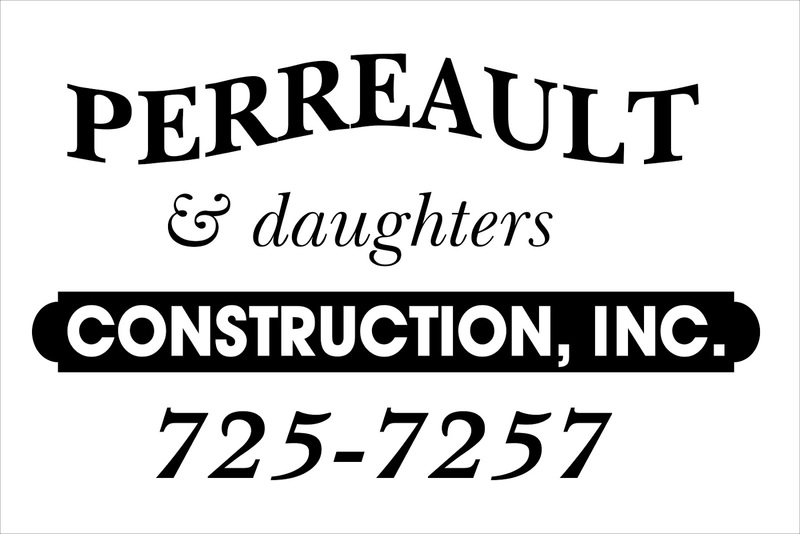 Thanks to the sponsorship of Perrault and Daughters Construction, Inc. Midcoast Youth Theater presents the Addams Family, A New Musical on Thursday July 28th and Friday July 29th at 7 PM and Saturday July 30th at 2:00 PM at the Orion Performing Arts Center, 66 Republic Avenue, Topsham, Maine. This is a hilarious comedy about the quest to be normal and the reality that we are all inevitably (and wonderfully) unique. Tickets are $10 for adults and $8 for students and seniors. Tickets available at the door. FMI call 837-8567. 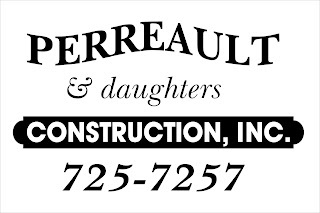 Thank you to the fabulous Construction Company, Perreault and Daughters for sponsoring our production of The Addams Family, A New Musical, coming to the Orion Performing Arts Center on July 28th, 29th and 30th. 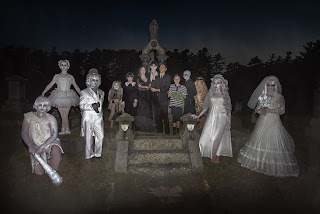 A Double Feature for Families with Kids of All Ages! Come see our youngest performers Thursday July 14th and Friday July 15th at 6:00 PM and Saturday July 16th at 2:00 PM in a double feature. 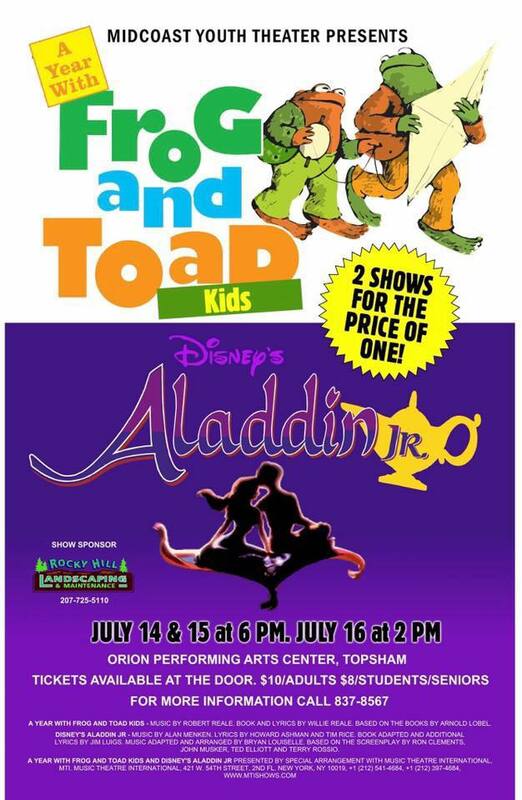 All performances at the Orion Theater in Topsham at 66 Republic Avenue. The Kindergarten through 2nd graders will open the show with A Year with Frog and Toad, Kids at 6:00 PM. That show runs under an hour. After an intermission the 3rd through 5th Graders present Disney's Aladdin, Jr. with special sponsorship from Rocky Hill Landscaping in Brunswick. Tickets available at the door or online here.